Today, owning a swimming pool can be for everyone! It's easier and more affordable than ever. 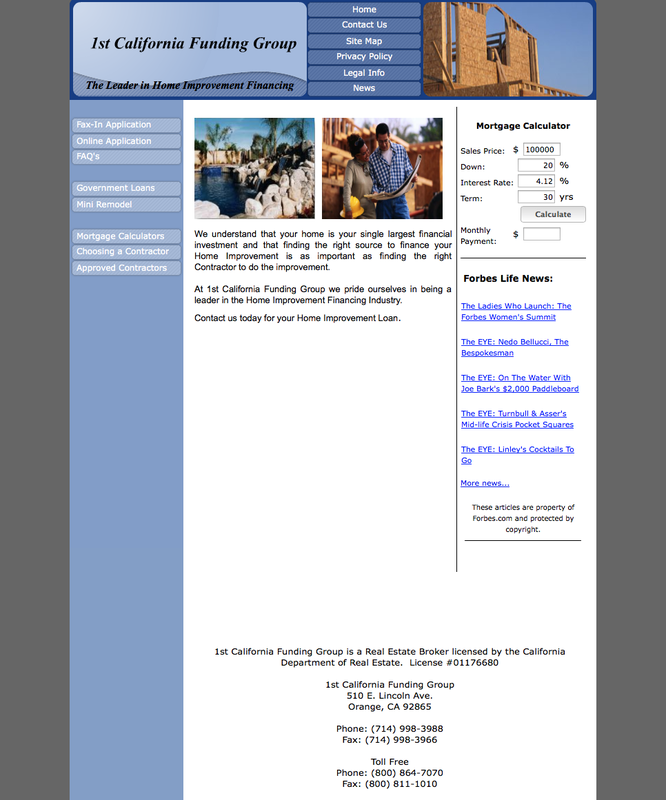 Please feel free to explore these options to find the lender that offers the most attractive programs to meet your needs. First mortgages, second mortgages and unsecured loans are available, each with great interest rates. If you need some creativity and you are not sure about your equity, contact Jamie Goeden at Residential Mortgage Funding. She sincerely cares for each customer and will give you unparalleled service. You can call or email. 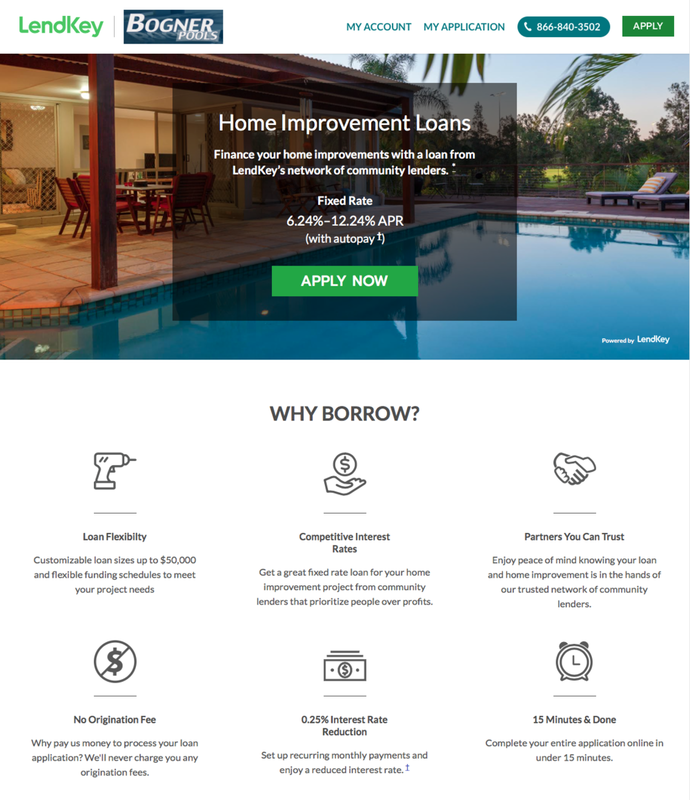 LightStream's unsecured Anything-Loan for a pool. 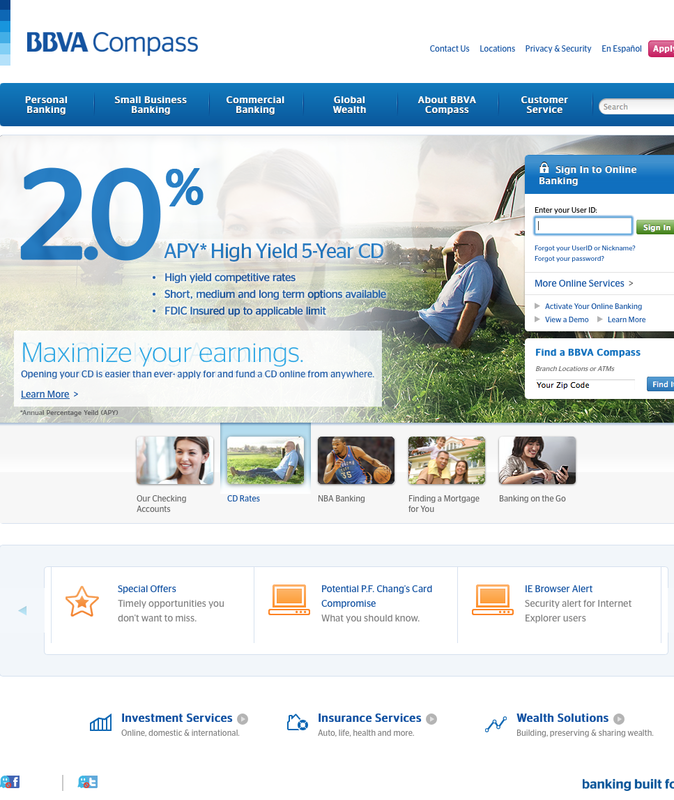 Rates may vary and are based on your credit profile. Applications meeting the excellent and substantial credit profile may qualify for the lowest rates. We know what having your own pool will mean to you and your family. It means fun, relaxing times. It means creating a retreat to entertain friends and watch your children play. It means exercise, laughter, and a refreshing escape. For over 35 years, Lyon Financial has provided individuals and families with the financial means to enjoy the comfort and flexibility of having their own backyard vacation. 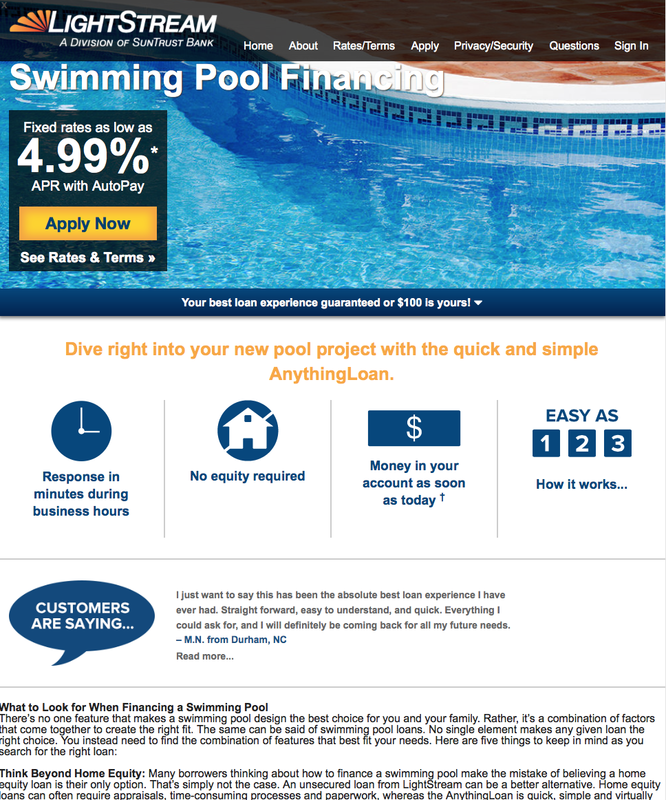 Dive in and get started on your pool loan today! Apply for a dedicated swimming pool loan that doesn't require any equity whatsoever in your home. 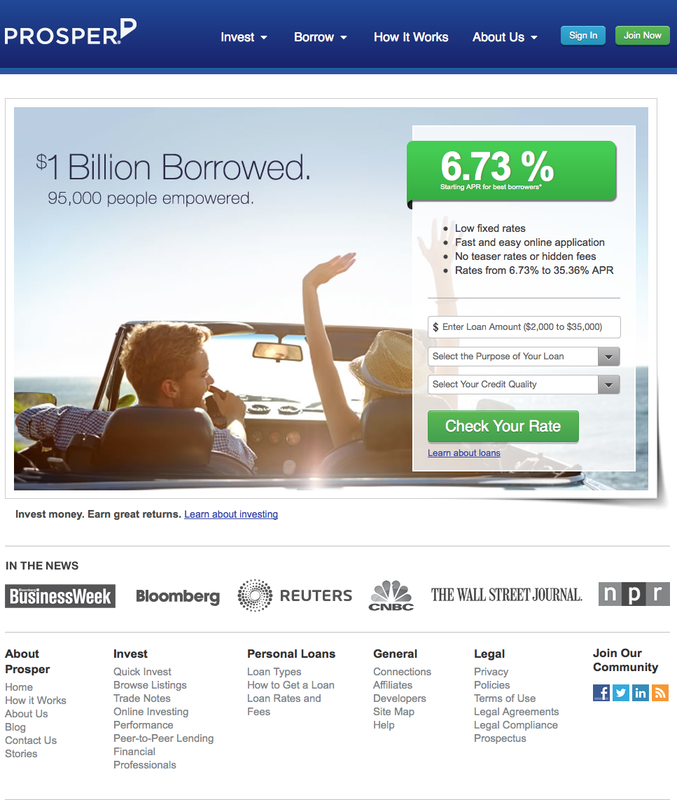 A unique and creative way to get a loan that boasts lower interest rates than most banks and credit card companies. Serving Army, Marine Corps, Navy, Air Force, Coast Guard, DOD and their families. These loans are granted based on creditworthiness, so your rate may differ. 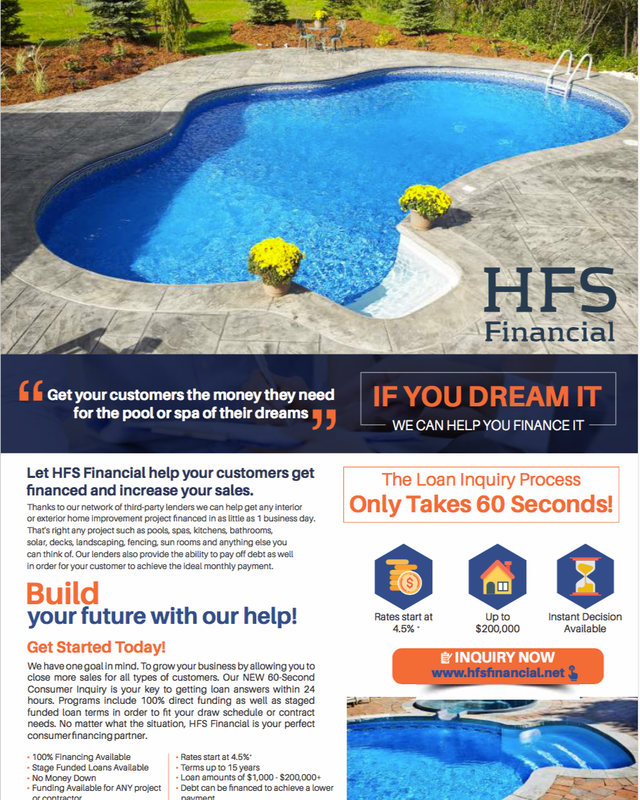 HFS Financial is located in Reisterstown , MD. 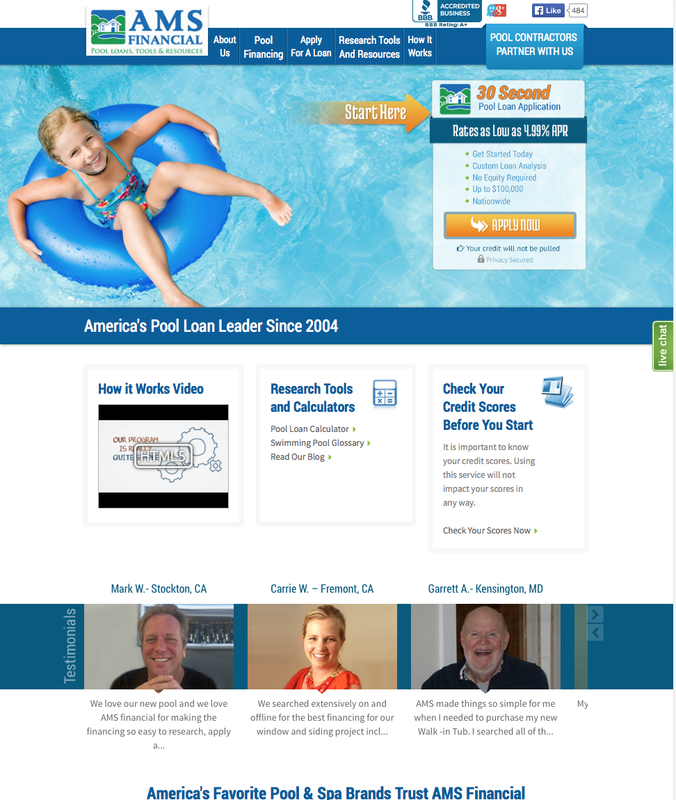 specializing in helping homeowners obtain swimming pool loans and home improvement loans. 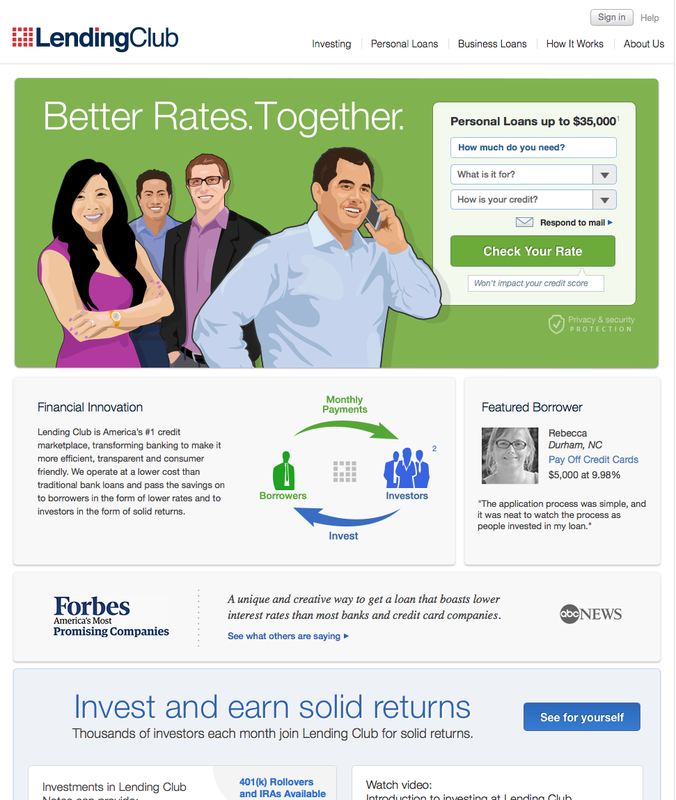 Prosper is the market leader in peer-to-peer lending, a popular alternative to traditional loans and investing options. We cut out the middleman to connect people who need money with those who have money to invest...so everyone prospers!